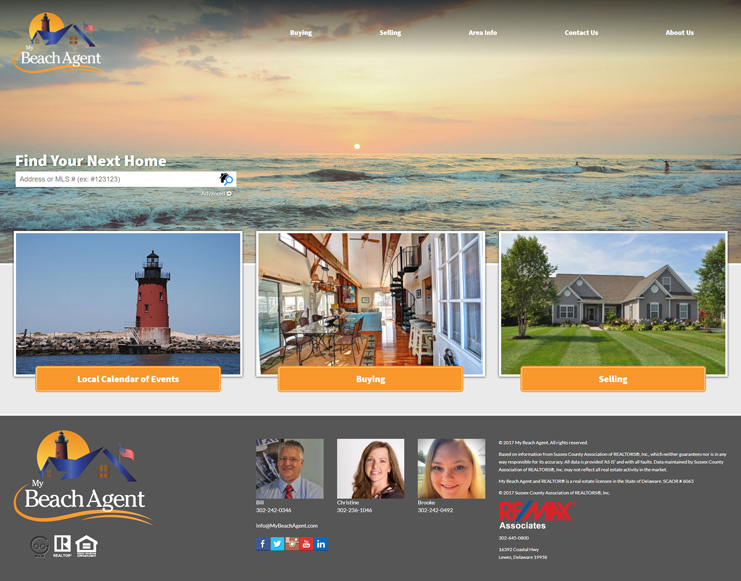 A creative site for a creative group of realtors. Create an aesthetically pleasing website with custom photography and integration with a real estate listing system. Techno Goober provided a website with a custom design with colors that match their logo. We also assisted with setting up search engine optimized neighborhood pages.